Hall of Fame speaker Roger Crawford was born with what many would consider an insurmountable physical disability. Yet he's defied the odds, played NCAA Division I tennis, and traveled the world. 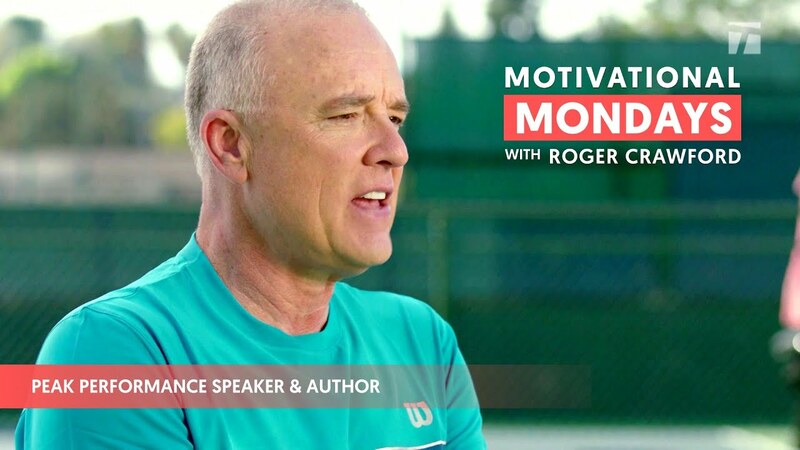 When he speaks to organizations such as Nike and AFLAC, Roger helps business audiences develop the mindset and skillset to turn change into opportunity. 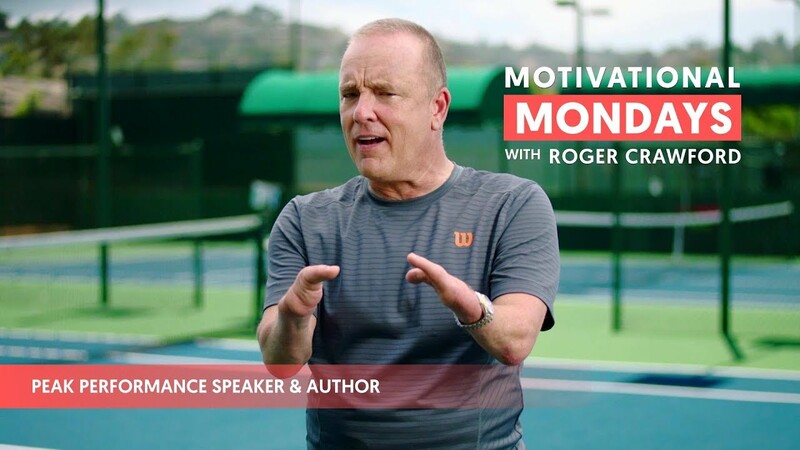 If you’re looking to make your next event a game-changing experience, let Roger Crawford's remarkable perspective inspire your team to win. Motivational Keynote PresentationsMake Your Next Event A Game Changing Experience! Inspiring Others to Move Beyond Acceptable to Achieve the Exceptional. The Power of a Winning Mindset! Change Your Mindset. Change Your Results. How to see Change as an Opportunity. Words and phrases like outstanding, phenomenal, very inspirational, and the best are consistently used by our attendees when describing your talk... your energy, professionalism, and humor enabled you to easily connect... your message on winning is appropriate for any group! What a fabulous presentation! You had 15,000 people from 40 countries on the edge of their seat. As you know MDRT invites the great speakers in the world to their stage. You are at the top of the list!!! Your presentation was great! You made me look good. We have received lots of positive feedback. I was going to say you hit it out of the park, but on second thought, it was a grand slam! Fantastic program! All week people were talking about your comments. You are the best speaker we have had at our conference. While you probably could sense that your speech went well (the standing ovation may have been a tip), I just wanted you to know that the benefits of having you come to our meeting went well beyond the initial applause. Your message is powerful, appropriate and useful for an organization such as ours. I can see why you have so many positive references. What can I say? You were a huge hit. Our goal was to end our meeting on an emotional high and your talk provided that. You were the only standing ovation of the week. I wanted to thank you for the outstanding job you did at our Sales Summit last week. We have received so much positive feedback and truly appreciate all the effort you put into tailoring your message to fit our events objectives. You definitely made a lasting impression with our group and their standing ovation was an indication of how much they benefited from your presentation. Yesterday’s presentation was GREAT!!! The feedback has been exceptional, and people have come up to me and said, Roger Crawford was the best one yet! How High Can You Bounce? Despite his apparent disadvantage of four impaired limbs, Roger discovered not only how to compete, but how to defeat able-bodied tennis players. Since then, he's become an NCAA Division I Hall of Fame athlete, been inducted to the International Speakers Hall of Fame, and has since inspired more than 3,000 audiences worldwide. Roger Crawford has coached people just like you to bridge the gap between where you are and where you want to be. He is a peak-performance expert who not only studied but also lived and breathed these high-performance skills and strategies. Latest From The BlogTake Your Game To The Next Level! Do You Remember Making the Refrigerator? What We Can Learn from Walt Disney about Being Exceptional! ©2019 Roger Crawford. All rights reserved.